I've seen a lot of confusion lately, even among adults, about the differences between refugees and immigrants. I've also seen confusion about the distinctions between documented and undocumented — to help clear that latter point up a bit, the recent ban on immigrants and refugees coming from seven Muslim-majority countries into the United States was against legal immigrants, people with green cards or visas. People who are trying to immigrate illegally are always banned, since that's the definition of illegal. At any rate, most of us in the United States will have relatives or ancestors who immigrated to this country, whether by choice or no. I'm the great-granddaughter of immigrants from Finland and Sweden, and the greater-granddaughter (I'm so great! The greatest!) of folks from all over the British Isles, Germany, and the Netherlands. At one point, my great-great-great-whatever-grandfather who came over during the Potato Famine had to deal with the American prejudice against the Irish, which we now find quaintly ridiculous. Now there are new groups who seem scary and unfamiliar. But standing apart from immigrants are refugees, a whole different group. Immigrants leave their countries, either temporarily or permanently, to pursue new opportunities. Refugees leave their homes because their homes chased them out. 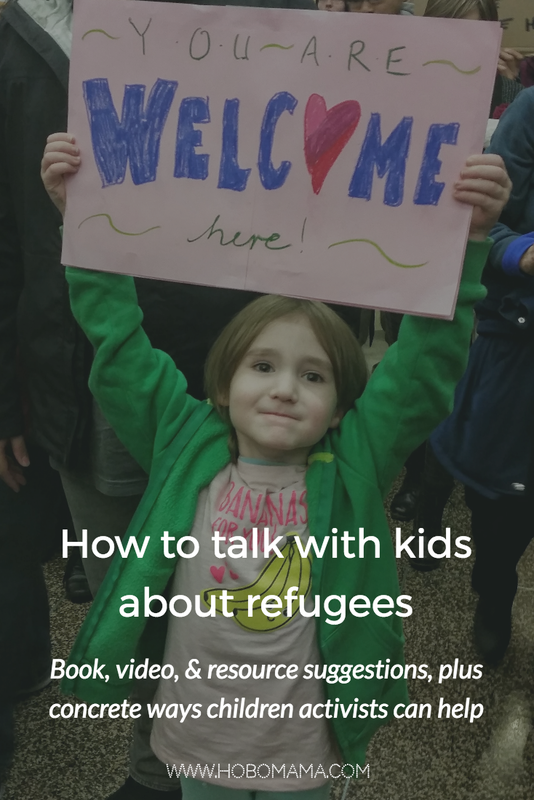 If your kids are tuned in to the news and are curious about what refugees are and why they need assistance, here are some age-appropriate resources to turn to. Keep in mind your child's sensitivity threshold in choosing from the resources. Some children might appreciate the empathy of thinking through what it would be like for them personally to be a refugee: for their home and city to be destroyed by bombs or famine or natural disaster, to be chased into another area or another country, to have to restart somewhere unfamiliar and potentially unwelcoming. Some children might be traumatized by going through even the thought experiment of that. I have a five-year-old who tends to think that any hypotheticals are in fact going to happen to him, so we have to be cautious about what we say around him. Use your discretion as you go through the options below about what is undoubtedly a troubling subject. Remember what I said above about the sensitivity levels of your own children. What I like about this video is that it shows the refugees before, on a typical U.S. suburban school day, so kids can glom on to the fact that refugees once had homes and cities and jobs and schools and toys and pets. We tend to see refugees only once they are, in fact, refugees, sitting desolate and empty-handed in a camp somewhere, and we can lose sight of the stable and civilized existence they've lost. I also appreciate that it's shown through the eyes of the daughter, so it's accessible for kids, and that there's a surprise ending of hope. Here's a video about Bana Alabed, a 7-year-old girl who tweeted from Aleppo, with help from her mom, as bombs fell on her neighborhood. You can assure your children that Bana and her family are now safe in Turkey, though the war continues to rage in Syria. This is a good one to go with if you have a particularly sensitive child since it has such a happy ending. See below for the accompanying book as well. This is the story of Oskar, a boy who has fled Europe during Kristallnacht and who must wander alone through the unfamiliar city of New York to seek out his aunt before the Hanukkah candles are lit. As he walks, he experiences small kindnesses that welcome him to his new home. This is a gentle book despite the background of dark subject matter, and it reminds us of Mr. Rogers's adage to "look for the helpers," which means it will inspire your children to be one of those helpers. This book with fascinating rock-art compositions by Nizar Badr and spare poetic text in both English and corresponding Arabic tells the story of refugees fleeing Syria and resettling in Canada. 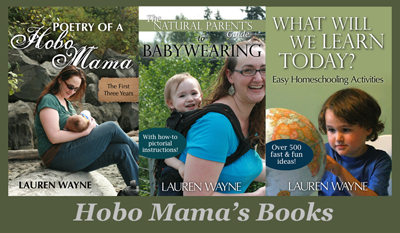 Proceeds from the book's sales go to help the resettlement efforts. The author-illustrator recalls his own childhood fleeing Warsaw for Turkestan. They have nearly nothing to eat, yet his father spends their precious coins on a huge, colorful map that ends up transfixing the young protagonist and giving him a way to escape in daydreams to far-off places. The story itself is a bit vague, but that makes it accessible for younger or sensitive kids to have a taste of the refugee experience without being overwhelmed by it. Soldiers force a family from the Caribbean into the open sea. After a harrowing journey, they land in America and are welcome in on Thanksgiving. 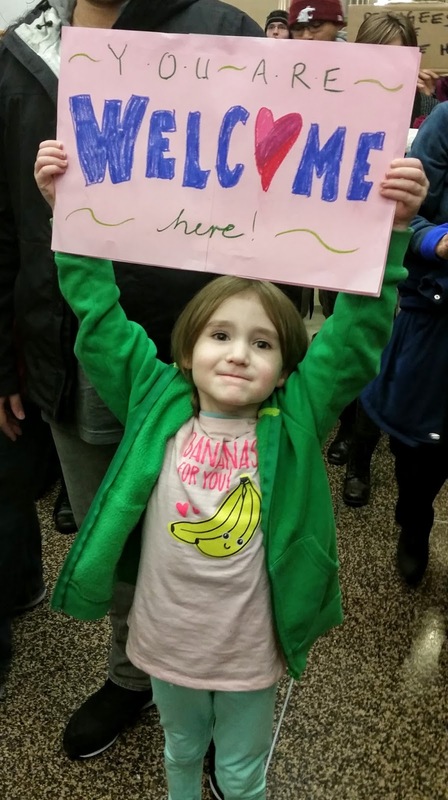 While a bit distressing during the journey, this story is a great reminder to do the welcoming. You can preview the book with this read-along video. Please note: I would NOT recommend this book for small children. Despite being a picture book, I'd suggest an audience of age 10+. It is the dark but true story of Arn Chorn-Pond, who loses his family when the Khmer Rouge invade his village, is sent to a work camp, learns to play traditional Cambodian music for the workers, and later is adopted by an American pastor. As an adult, Arn returned to Cambodia to restore music to his home country. I have friends who fled from North Korea into South Korea and from there to the U.S. Many Jewish families have heartbreaking stories from their grandparents or great-grandparents. Maybe you know some similar folks or are one of them yourself. If not, seek out refugee groups in your neighborhood. They will often host cultural gatherings to give your family an educational experience. They might also offer opportunities to give back in ways such as tutoring or donating winter clothing. You can watch a sweet video on CARE.org about the original WWII recipients of care packages writing now to Syrian children about their own experiences as refugees, and then use their contact form to send a short message of hope to a Syrian refugee child. For a longer-term relationship, sign up to be a pen pal at Lutheran Immigration and Refugee Service. Research the history and accomplishments of world-famous refugees. Here's a list of well-known people who were refugees, including M.I.A., Gloria Estefan, and Albert Einstein. Here's another list, which includes Google co-founder Sergey Brin, former secretary of state Madeleine Albright, actor Andy Garcia, gymnast Nadia Comaneci, artist Salvador Dalí, and dancer Mikhail Baryshnikov. "Syrian Journey: Choose your own escape route" is an educational online game that's a sort of choose-your-own-adventure with difficult decisions based on real-life dilemmas. God Grew Tired of Us is a moving, fascinating documentary showing what it's like to be a Sudanese refugee who's suddenly transplanted to the United States. The movie follows three of the "Lost Boys" of Sudan as they settle into their new lives. It's been long enough since I've seen the movie that I can't give a hard-and-fast age recommendation, but I'd suggest age 10+. Your children can send postcards, letters, and emails to elected representatives or even pick up the phone and make a personal call. Here's a starting point to find their contact information for U.S. residents. Let the government know your thoughts on how they should deal with the refugee crisis, and include any personal stories you have to share. Your kids can craft messages for you to post online. They can make videos talking about their beliefs. They can join the I Am Syria project by uploading a picture or video holding a sign saying "I Am Syria." Here is a printable sign, or your kids can design their own. Children can raise funds or give saved allowance to a refugee organization, whether local or international. One worthy one is International Rescue Committee. Many local refugee organizations will gladly accept needed donations of new or gently used items to help people resettle, so a donation drive can be a great way for a kid to get involved alone or with a school or community group. Contact your local organization for a list of particular items, but popular options include clothing, school supplies, diapers, toys and art supplies, baby supplies, bicycles, linens, kitchen supplies, and the like. Your donation drive could focus on one particular area of need. I hope this helps as you tap into your kids' deep wells of empathy for other children and families living through such difficult circumstances. May our children inspire hope and change!